I started skiing aged 8, at a dry ski slope in Aldershot in the UK, I went on to ski race professionally, my favourite discipline was slalom and I finished my racing career with the British Development Team in 2008. 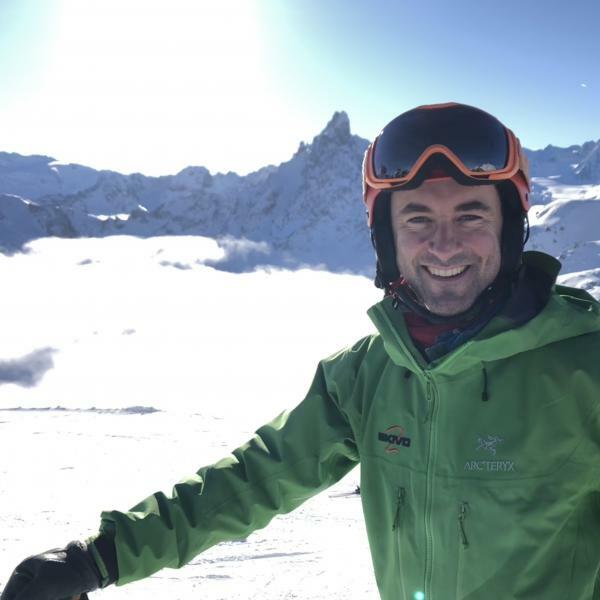 After retiring as a racer, I worked as a race coach with various British Athletes and ski teams before moving on to ski teaching in Courchevel. 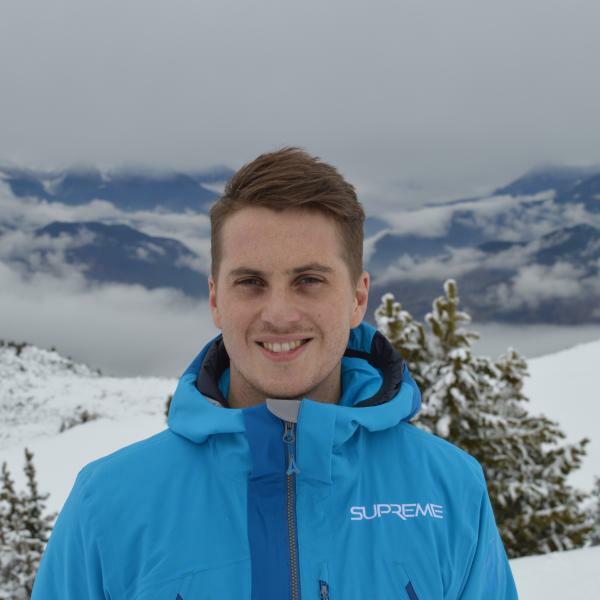 After a couple of years in the 3 Valleys I took a job as an insurance broker in London for just under 3 years, however I missed the mountains, so returned to ski teaching! I enjoy the day to day variety that instructing gives me; meeting new people and teaching all ability levels - from beginners to experts. My general feedback from my customers is that I'm always calm and patient, which is especially useful when teaching beginners or children! If you have any questions or want to learn more about me, please drop me a message. I am flexible with lesson times, so if you can't see what you're looking for, please don't hesitate to get in touch! Olly was absolutely great. He combined some technical exercises on easier runs that really improved my skiing quickly and also took me on more challenging off piste and mogul runs that were great fun - an excellent instructor! Olly was excellent. The candidates improved dramatically in their ability due to their lessons. He Is likeable,friendly and knowledgable. I would highly recommend him. The two skiers in this lesson were of a similar level. Both were nervous on blue runs After a couple of lessons with Olly both skier's confidence and ability had improved markedly. Olly is knowledgeable, friendly and very competent in his instruction. I would highly recommend him. 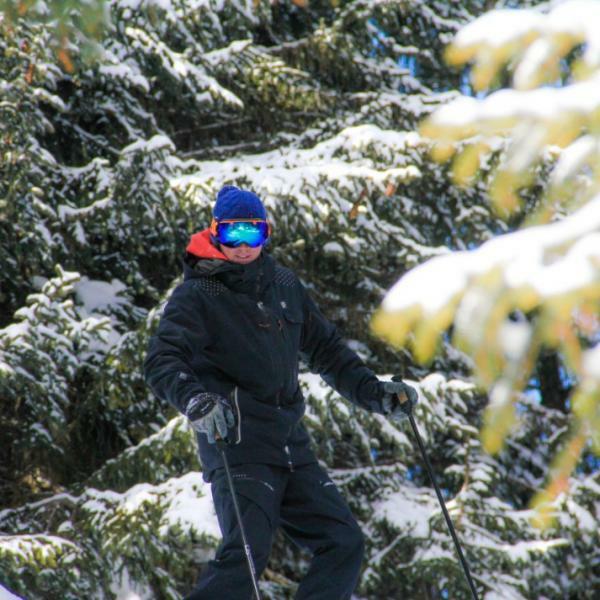 Olly was brilliant teaching all my Grandchildren to ski, they all loved their lessons. Olly also help my husband and I. I highly recommend Olly. I had a lot of fun with Olly! He knows Courchevel really well and showed me some great runs. I have been skiing for years and didn't think my skiing could change much, but Olly still helped me make some really useful improvements! Olly was brilliant, at the beginning of the lesson I could only just manage snow plough turns and he had me skiing parallel down blue runs within 2 hours! I will definitely book with him next time I'm in Meribel. Olly was both professional, considerate and an easy communicator. My girlfriend is new to skiing and he most certainly helped to entrench the skiing "bug". He gave her just the right amount of encouragement and technical help and there was a noticeable improvement in her technique after her lesson. I can highly recommend him. Our experience with Olly was fantastic. We booked Olly for 2 beginners travelling in our group, they came back beaming with confidence and were able to tackle many runs they never thought they'd ever touch before the lesson. Olly was patient, friendly and professional and couldn't recommended highly enough.